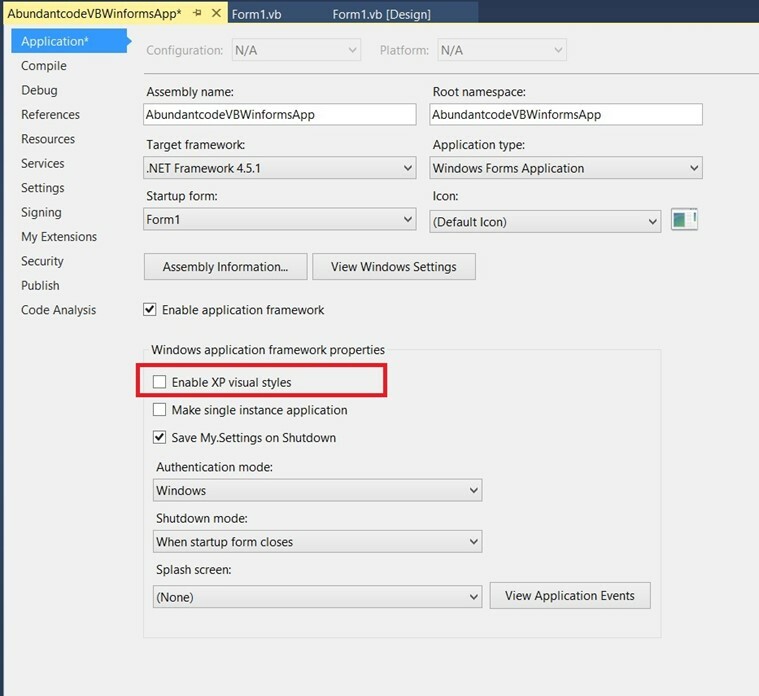 You can enable or Disable the Visual Styles in your VB.NET Winforms Application by following the below steps. 1. Launch Visual Studio 2013 and Open your VB.NET Project. 2. Right Click on the project and open the Project Properties. 3. In the Project Properties Dialog, Select the “Application” menu in the left sidebar and then “Uncheck” the option “Enable XP visual styles” to disable visual styles in your Winforms Application . Select it to enable the XP visual styles. 4. Save the project and you are done with enabling or disabling visual styles.